Commercial Trucks, Cargo Trailers, Buses. Widely recognized for quality, durability and value, Forest River's commercial line, offers a variety of products to make your business more efficient. 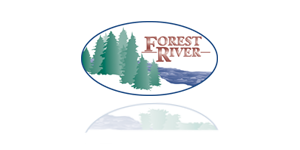 With an impressive history of innovation, vision and growth, Forest River takes great pride it its Rockport Commercial Truck division. Widely known for quality and durability. Our Rockport trucks can be customized to meet your specific business needs. Forest River's Cargo Trailer divisions manufacture a wide range of products that meet diverse business needs. Whether its tranporting light-weight equipment, moving large machinery, hauling vehicles across the country or simply looking for a mobile restroom, our Cargo Trailer division has quality and dependable products. Forest River's bus divisions have become widely recognized for quality, durability and value in a variety of transportation products. With a full line of transit buses, shuttle buses and tour coaches we have buses that fit your specific application.